Whoopee! (USA 1930, Thornton Freeland; Busby Berkeley (Choreography)). Credit: George Eastman Musem. Photographs of the Technicolor No. III dye-tranfer nitrate print by Barbara Flueckiger. Hongarije (FRA 1926, Anonymous). Credit: EYE Film Museum. 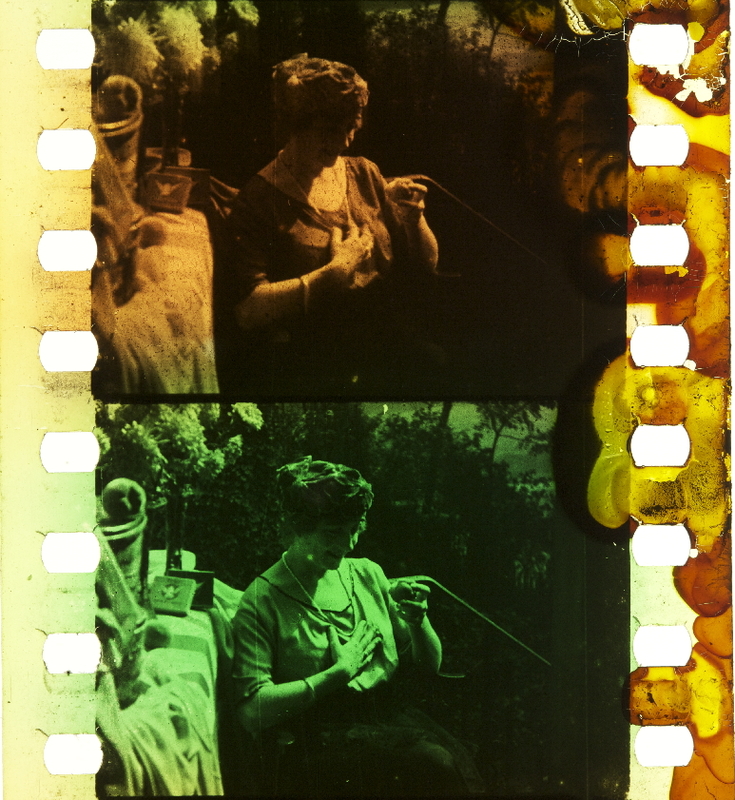 Photographs of the tinted, toned and stencil colored nitrate print by Olivia Kristina Stutz, ERC Advanced Grant FilmColors. De Mode der taschjes te Parijs (FRA 1924, Anonymous). Credit: EYE Film Museum. 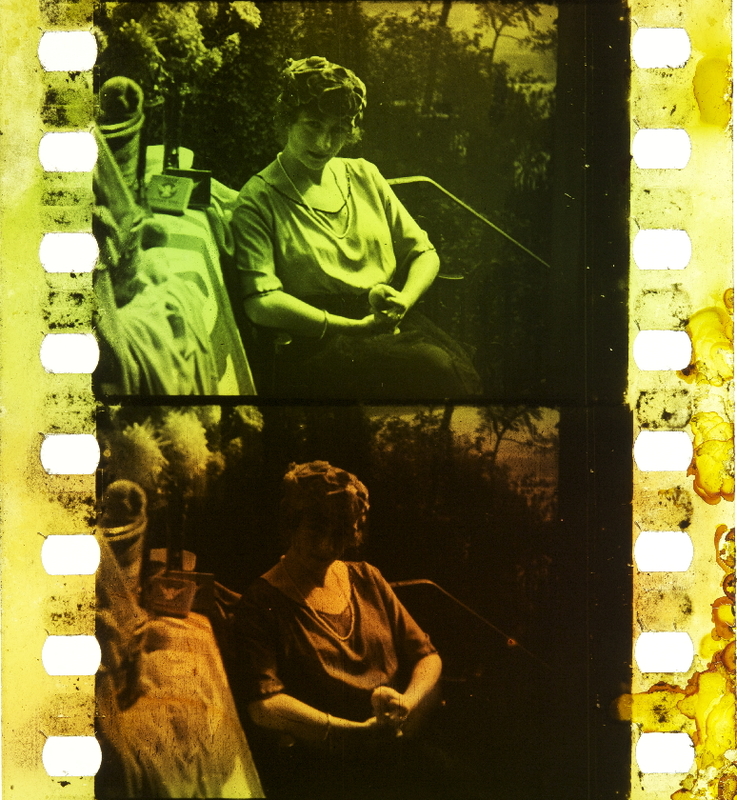 Photographs of the stencil colored nitrate print by Olivia Kristina Stutz, ERC Advanced Grant FilmColors. Watkins, Liz (2013): Herbert G. Ponting’s Materials and Texts. In: Simon Brown, Sarah Street and Liz Watkins (eds. ): Color and the Moving Image. History, Theory, Aesthetics, Archive. New York, London: Routledge, pp. 230–242, on pp. 230–240. The 2010 digital restoration of The Great White Silence (Ponting, 1924) commemorates the centenary of the departure of the British Antarctic Expedition (1910-13). Herbert G. Ponting’s photographic record of the expedition has been integral to the narratives that have emerged around the loss of the polar party. The stills and cine-photography formed a strand of the expedition’s scientific research by offering a visual record of the region. A study of the provenance of the 2010 restoration discerns a supplementary layer of information (residual marks of production and decay) beneath the fascia of image and narrative. The interpretation of instructions that are scratched into the film and attributed to Ponting have informed the “return” of color in the 2010 release of Silence. The restoration refers to and incorporates sections of film from diverse archives and pasts elaborating a historiographic process that embeds ideas of authorship and authenticity in a narrative of irresoluble loss. This discourse, of authenticity and authorship, in which the return of color is keyed to Ponting’s instructions scratched into sections of leader, is invoked in the digital simulation of tinting and toning as applied color processes. These technical alterations open a space in which to address the impact of the digital on the film object and text. It is in this sense that the reconstruction (Busche 2006: 3) of the color scheme operates as a facet of historiography, imagination and memory. The camera negatives were initially processed by Ponting in the Antarctic and returned to the UK in two consignments to be screened in two parts under the title With Captain Scott R.N., to the South Pole (1911 and 1912). Ponting, who held the rights to the expedition stills photography, subsequently purchased those for the cinematograph films from the Gaumont Company in 1914 for £5,100. […] Work on editing Silence began after the 1921 publication of his written account of the expedition, The Great White South. In reformulating the film footage to the shifting interests of its anticipated reception the visual appeal of the image and the drama of the story are emphasised. The tension between the film as commodity and expedition record lies in the accumulation of information and its erasure and of the materials and detritus that invoke a direct relationship between the photographic imprint and the cinematic illusion projected of light. While the re-editing of the film footage is responsive to different innovations, indicating its potential to be deciphered as a tract of film history, such alterations in technique also affect the film as a text. Ponting’s references to the use of color for his still photography primarily concern the selection of hues that enhance the subject: “Ice Blink” is printed “in the green [carbon] tissue” and another “in a very fine blue tissue, which seems to suit the subject exactly” (Ponting, 15 June 1926). In Silence, however, the fourteen different combinations of tinting, toning and hand coloring that are detailed by instructions scratched into sections of film indicate a color design that is also significant to its themes and narrative. Cherchi Usai tracks the significance of certain colors in the silent period to suggest thematic associations, such as a shift to amber which could signal “when a table lamp was turned on in a room” (1991: 29–38). In Silence the thematic use of color, perhaps unintentionally, maps territory, both by delineating between areas associated with the ship and those inhabited by the Antarctic wildlife. In this context a shift from amber in the record of the expedition member’s daily work to the sepia tone and green tint of zoological studies indicates that of a different realm, whilst combinations of a blue tone and pink tint are associated with the effects of light refracted by the ice. Ponting’s use of color contributes to narrative progression through a historiography practice of editing and commissioning new material. […] Such descriptions suggest what was not immediately recorded by the cinematography. The movement of the ice floe is evoked in Silence through inter-cut still and moving images of the grotto taken a year apart, each shot colored in jewel-like tones to be found in tinting and toning catalogues. The addition of color to these images offers the cinematographer’s perspective as a layer of interpretation over the “subtle shadows of the snow and […] wonderful transparent texture” that Scott notes of his black-and-white photography (Scott  2000: xv). The significance of color to the narrative is established in the opening section of the film. The initial black-and-white images of Captain Scott and Ponting position them as auteurs of both the expedition and the diegesis before the color scheme is instigated as the Terra Nova sets sail. The changes in color that are contiguous with those of the film’s themes are reduced in the section detailing the final journey to the Pole. This also gives an inflection of coherence across a section that is assembled from a significant number of technical revisions including animation, still-photographs and drawings, to avoid distraction from the tale. A shift in color to a blue tint denotes their imminent demise in the “fateful tent” which persists across the memorial portrait photographs of the five men. 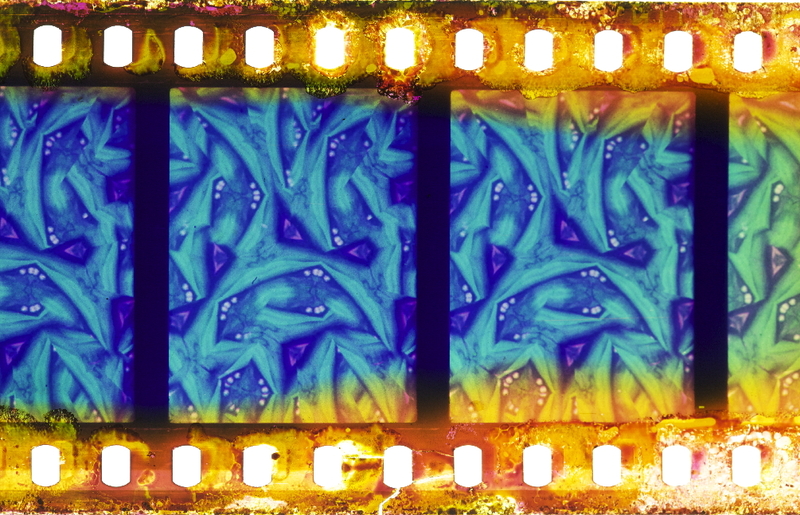 The still images screened are the work of duplication across a strip of 35 mm film. This contrasts with the transcendent blue tone and amber tint that transfigures the remaining images: drawings of an angel reaching down to Captain Scott and a cairn of rocks surmounted by a cross that marks the graves of the expedition members. Notably the remaining inter-titles of Silence are dominated by a quote from Scott’s diary and marked by the imaged authorisation of his handwritten signature which forecloses the film. 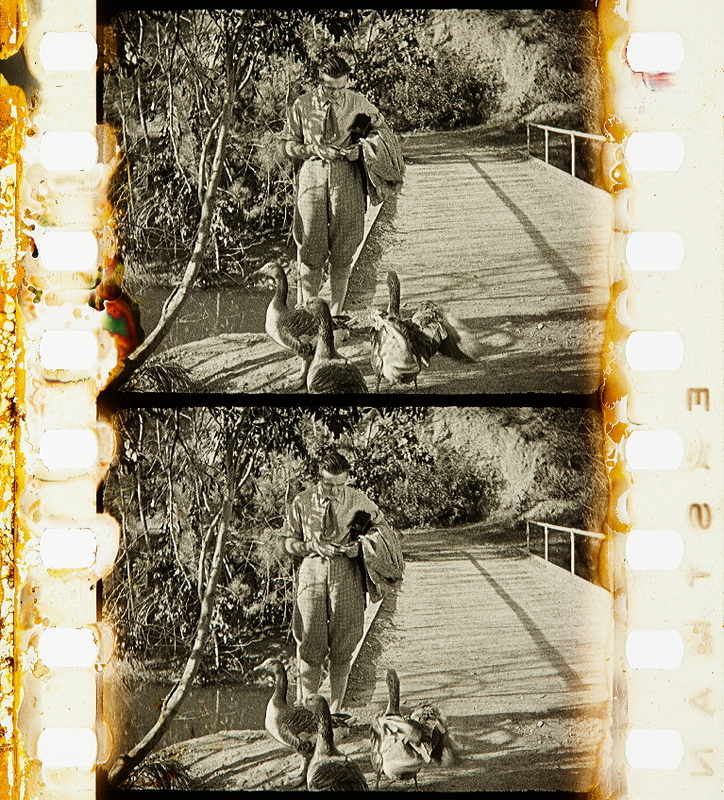 The 2010 restoration of Silence, which sees the return of the chromatic schema, is drawn into a discourse of authenticity and authorship through reference to the color instructions scratched into sections of leader that accompany the film negatives. 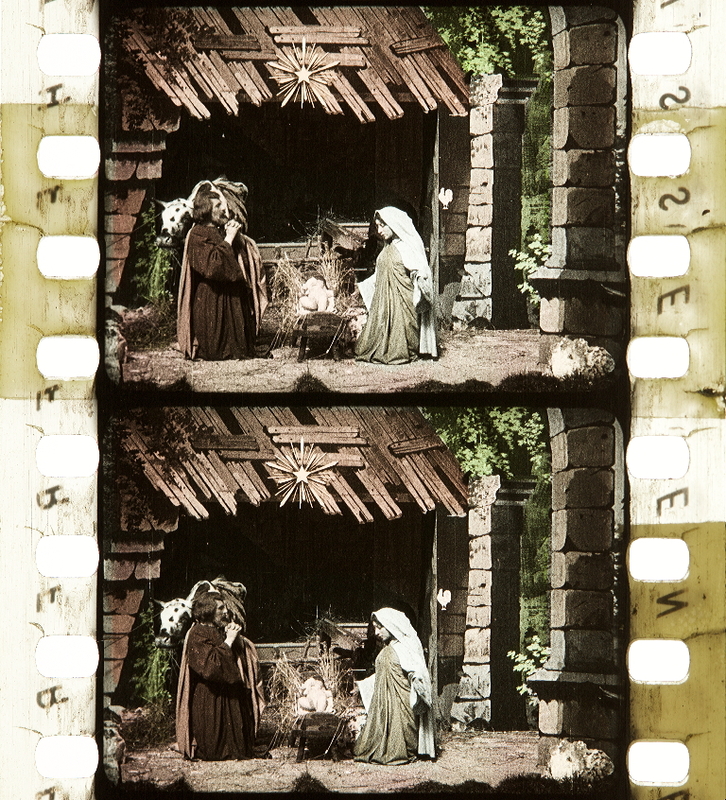 For Silence, as with many examples from the 1920s, the instructions do not consistently distinguish between tinting, toning and hand painting as possible methods of coloring the film. Luciano Berriatúa notes “the variety of these tints and their intensity from year to year. And also from laboratory to laboratory”, indicating potential points of divergence from the color instructions (Berriatúa 1998: 135–139).3 Both Paul Read and Nicola Mazzanti indicate material inconsistencies that occur between prints of what is ostensibly the same film due to differences in the concentration of dye solution and the duration of the submergence of each strip of film (Mazzanti 2009: 67–93; Read 2009: 9–46; BJP 1924: 611–614). For example, the recurrence of a color instruction could incur a variation in color intensity. It is in this sense that the salience of color in the study of Silence encounters numerous factors affecting the variations in hue, transparency and intensity that result from different dyes and processing methods. 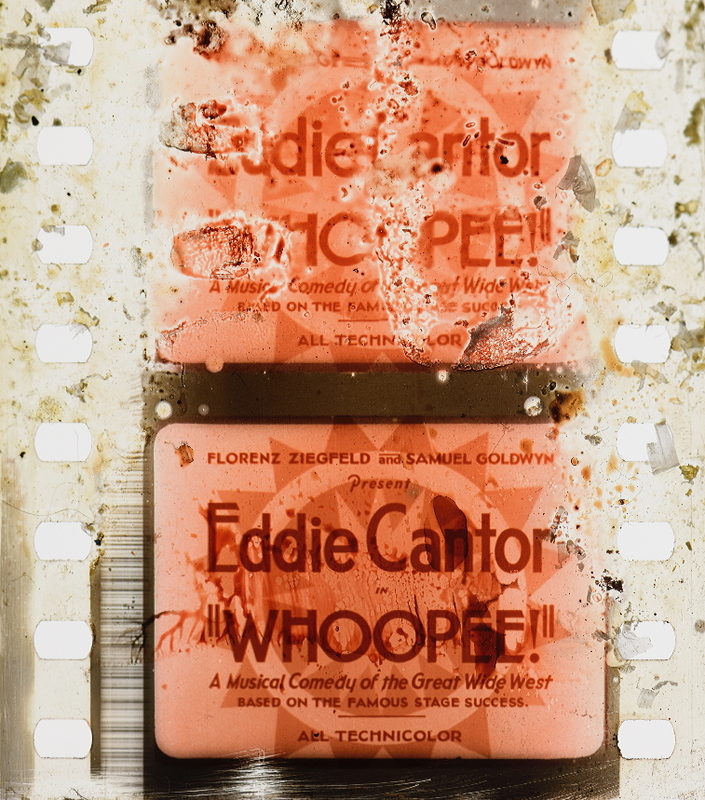 […] In the 1990s Angelo Lucatello’s comparative work, which contributed to the later digital restoration, identified several differences between the 1923 nitrate soft print of Silence and the EYE Film Institute’s holdings which include additional material such as a still-photograph of Dr Atkinson’s frost bitten hand. Such combinations of elements also extend to the duplication of fragments of leader and instructions in the fine grain contact print assembled in the 1990s by the NFTVA. The diversity of materials that informed the reconstruction (see workflow chart in Figure 21.3 […]) indicates the potential for the film image and text to alter. Although an assumption of objectivity underlies the subjective selections made, there are layers of interpretation from Ponting and his assistants, through to those of the reconstruction. The NFTVA’s work documents a trajectory through previous generations of materials now detailed and in storage. A study of the restoration trajectory tracks alterations in design and the contingent marks that register the susceptibility of celluloid and photosensitive emulsion to the impact of the environment during filming and storage. Traces of the technologies of production and decay constitute data which can be read as a supplementary record of the expedition and form a strand of the historiography of its materials and texts. Ponting’s photographic work is integral to the narratives that have emerged around the expedition. The restoration underscores and distances photography and detail as paradigmatic of authenticity. It also offers a new point of access to Silence as film text and to a narrative that plays on imagination, memory and the historicity of the subject. For its historical, narrative and pictorial significance the chromatic scale of the film, like the deictic salience of marks and scratches, offers the illusion of the past in the present that allows the spectator to invest in the digitally colored image as an image of authenticity. 1. Debenham was a geographer on the British Antarctic Expedition (1910-13). He was later Director of the Scott Polar Research Institute. 3. The NFTVA consulted a Pathé catalogue of tints and tones and additional individual frames that form part of the Kodak collection at the National Media Museum Bradford. These sources were used as a point of reference for the 2009-2010 restoration of Silence. Additional reference material included prints of Silence from the EYE Film Institute and La Cinémathèque de Toulouse, and a research screening of tinted and toned prints of The Lodger (Hitchcock, 1926) and South (Frank Hurley, 1919) for NFTVA restoration project members and technicians from Deluxe Digital, London. Berriatúa, L. (1998) “Regarding a Catalogue of the Tints Used on the Silent Screen”, All the Colors of the World: Colors in Early Mass Media 1900-1930, Reggio Emilia: Edizioni Diabasis: 135–139. British Journal of Photography [BJP] (1924) “A Review of Dye Toning Processes”, British Journal of Photography [BJP], 71, 3360: 611–614. Busche, A. (2006) “Just Another Ideology? Ethical and Methodological Principles in Film Restoration”, The Moving Image, 1: 1–28. 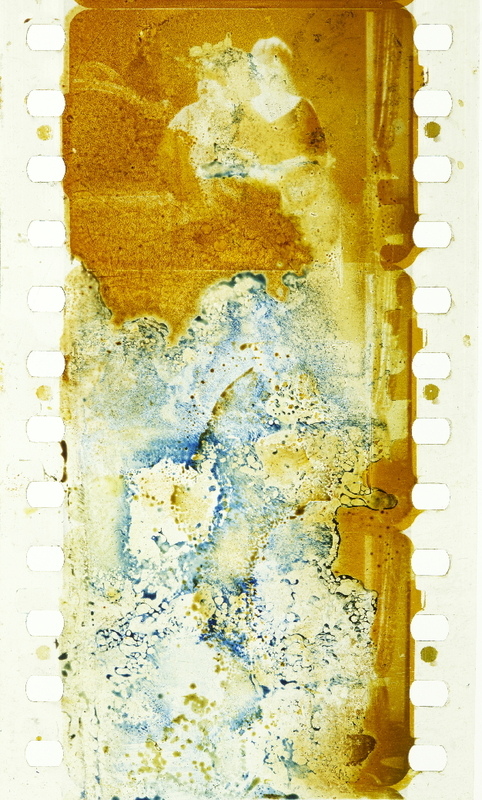 Cherchi Usai, P. (1991) “The Color of Nitrate”, Image, 34, 1-2: 29–38. Mazzanti, N. (2009) “Colors, Audiences and (Dis)continuity in the ‘Cinema of the Second Period'”, Film History, 21: 67–93. Ponting, H. G. ( 2000) The Great White South, New York: Cooper Square. Ponting, H. G. (17 December 1913) Letter to Apsley Cherry Garrard, British Antarctic Expedition 1910-1913, MS559/102/2, Scott Polar Research Institute, Cambridge. – (11 August 1924) “The Great White Silence Programme Notes”, D. 1500/1/1, Bournemouth Electric Theatre, Dorset History Centre: 3–10. – (22 October 1932) Letter to Padre Hayes, MS964/7/22, Scott Polar Research Institute, Cambridge. Ponting, H. G. British Antarctic Expedition 1910-1913, Volume 7, MS280/28/7, Scott Polar Research Institute, Cambridge. – (15 June 1926) Letter to Frank Debenham. – (29 July 1929) Letter to Frank Debenham. – (8 January 1930) Letter to Frank Debenham. – (12 January 1933) Letter to Frank Debenham. – (15 August 1933) Letter to Frank Debenham. Read, P. (2009) “‘Unnatural Colors’: An Introduction to Coloring Techniques in Silent Era Movies”, Film History, 21, 1: 9–46. [Kaleidoscope] by Loyd A. Jones. Credit: George Eastman House Moving Image Collection. 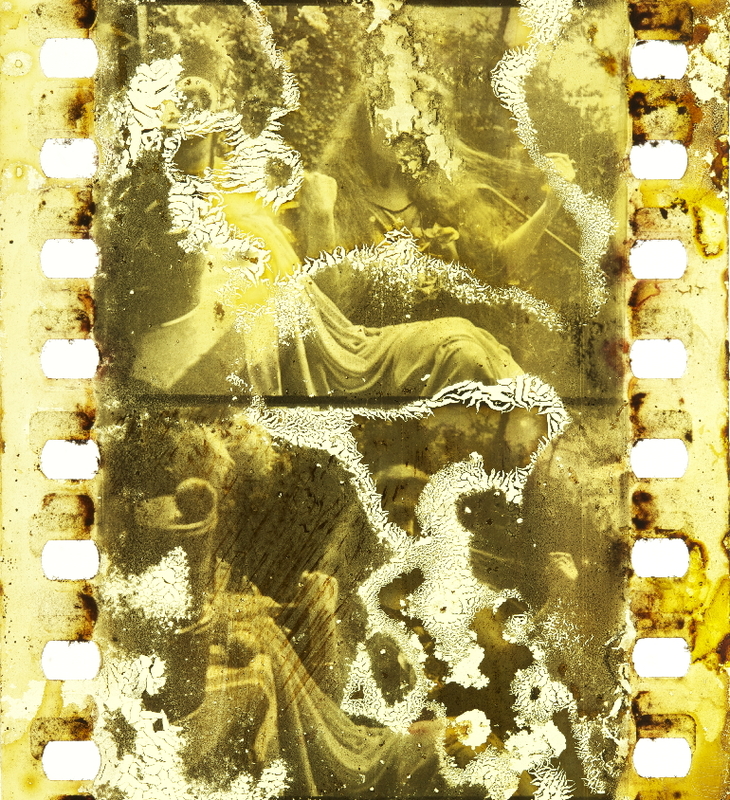 Photograph of the nitrate positive by Barbara Flueckiger. Technicolor Collection, frame no. 16. Credit: George Eastman House Moving Image Collection. Photograph by Barbara Flueckiger. Technicolor Collection, frame no. 14. Credit: George Eastman House Moving Image Collection. Photograph by Barbara Flueckiger. Technicolor Collection, frame no. 18. Credit: George Eastman House Moving Image Collection. Photograph by Barbara Flueckiger. The Virgin Queen (USA 1928, Roy William Neill). Credit: George Eastman Museum. Photographs of the Technicolor No. 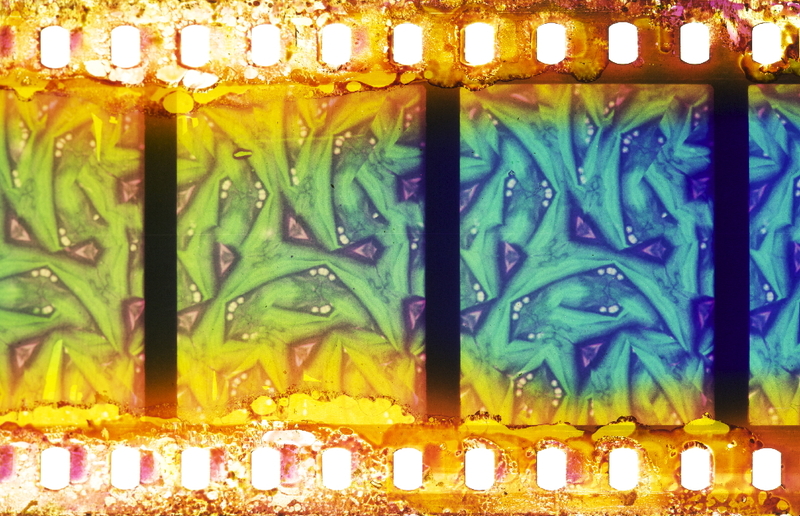 III dye-transfer nitrate print by Olivia Kristina Stutz, ERC Advanced Grant FilmColors. Gunning, Tom (2013): Where Do Colors Go at Night? In: Simon Brown, Sarah Street and Liz Watkins (eds. ): Color and the Moving Image. History, Theory, Aesthetics, Archive. New York, London: Routledge, pp. 81–92, on pp. 82–86. “The major form of color in silent cinema was applied color, colors not achieved by photographic processes, but applied to the positive print. 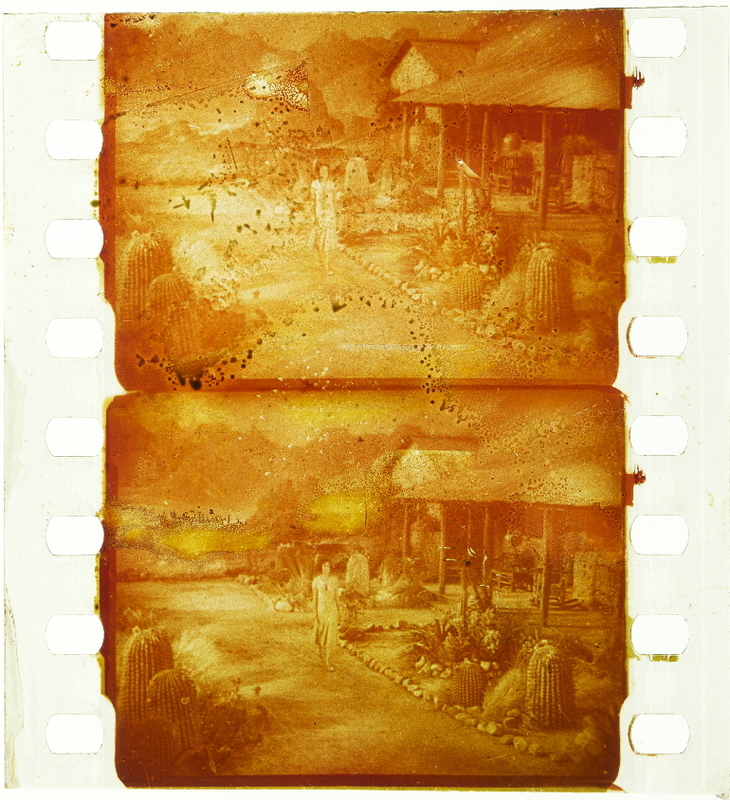 In the most common process, tinting, a black-and-white positive print was immersed in a translucent dye. Thus the lighter areas of the image were colored, while the darker, and especially the entirely black areas, remained unchanged. A tinted image could be described as black and red (or black and green, or blue, or yellow, etc.). Toning, less frequent but still common, involved a process of printing and processing in which the actual chemicals that created the range of grays and blacks in the image were colored. Thus instead of a black-and-white image toning produced a blue and white one (or orange and white, red and white, green and white, etc.). 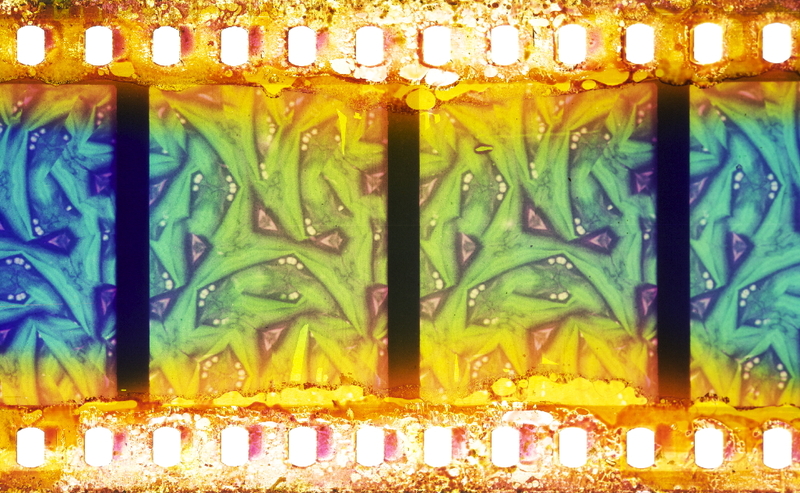 In the era of shorter films some filmmakers colored areas of the image with a variety of colors, either by hand or with the aid of stencils, often with a realistic effect such as green trees, blue water, red flames, golden armor, or blue dresses. Tinting or toning were common practices from the feature era, appearing in most films until at least the mid-1920s. However, color prints from the silent era were rarely screened until recently, leading to the distorted view that color film emerged gradually during the sound era awaiting the technical perfection and industry adoption of color photography. This was mainly due to archival policy. 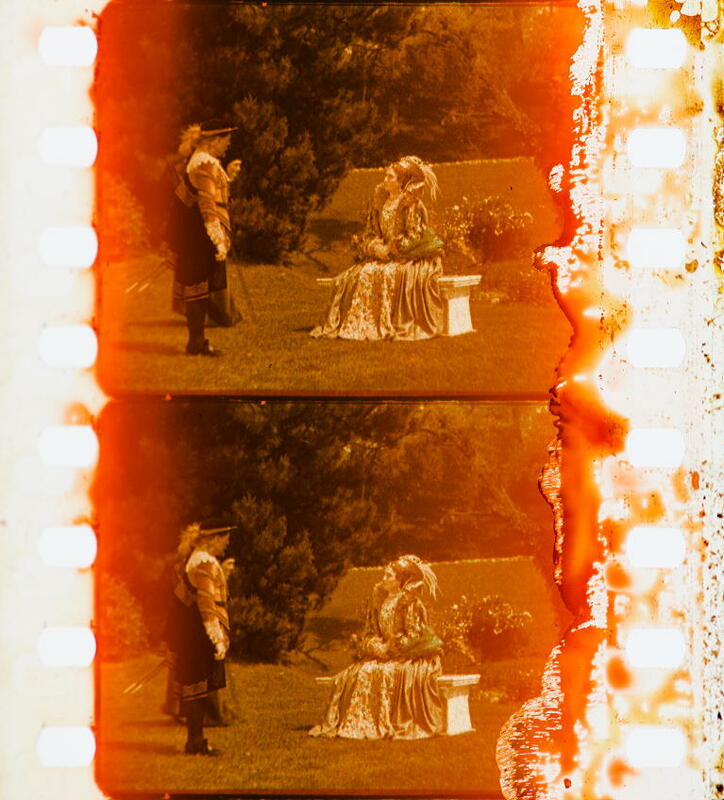 Until a few decades ago, color film stock was vulnerable to decay and deterioration and less suitable as an archival preservation medium than more stable black-and-white stocks. Applied color appears only on positive projection prints, not on negatives, and not on all prints of a film. 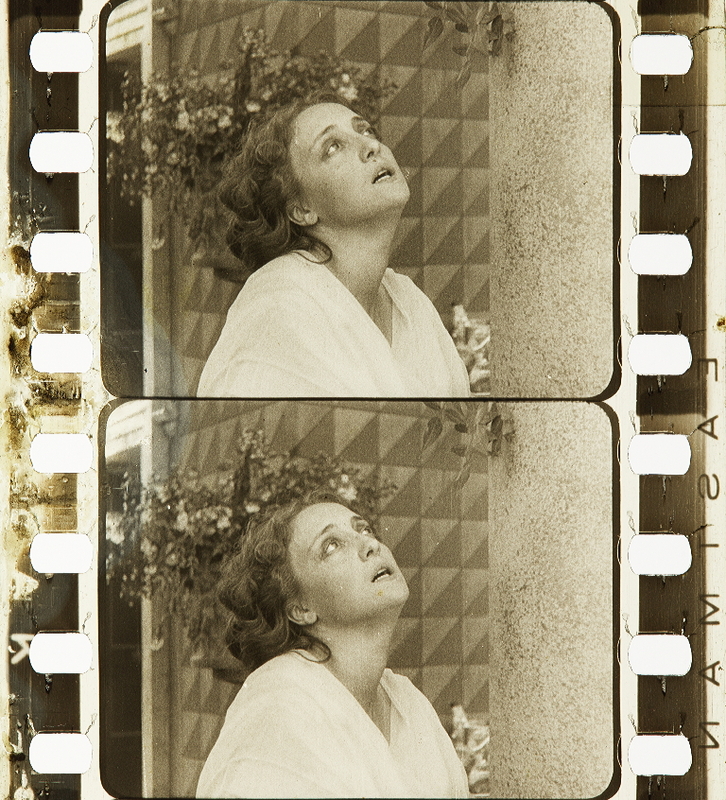 Silent films were primarily printed on nitrate stock, whose chemical instability demanded their transfer to more recent stocks for preservation. 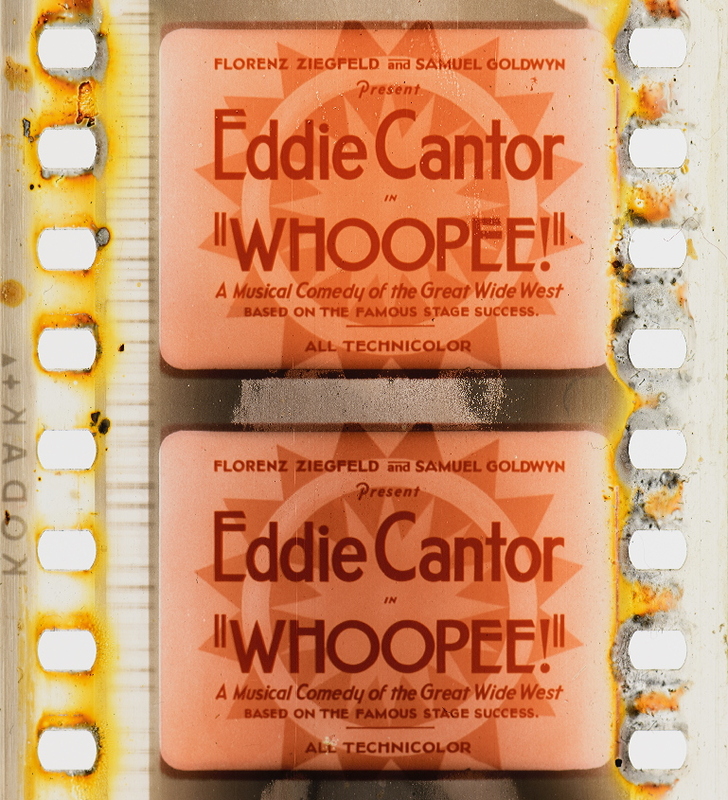 Should an archivist copy a colored nitrate print onto color stock in order to preserve its tints, knowing that the color stock would itself eventually fade, or should she transfer it onto more stable black-and-white stock? Official policy of film archives until recently recommended duplicating nitrate prints onto black-and-white stock, an entirely defensible decision given the necessary trade-off that all preservation involves. 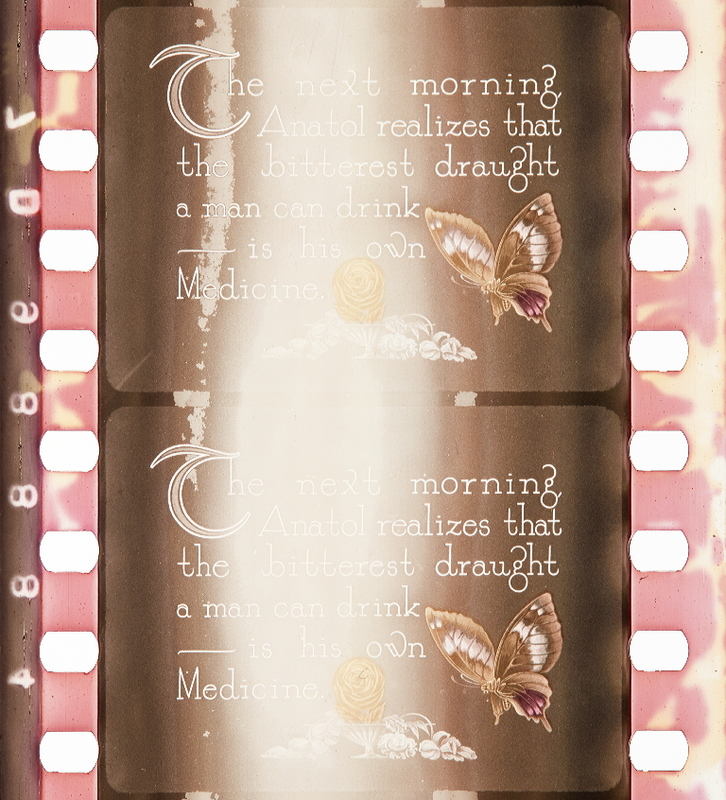 Certain archives screened nitrate prints with original tints publicly. I remember the excitement when MoMA would screen their tinted prints of Intolerance (D. W. Griffiths, 1916) or Broken Blossoms (D. W. Griffiths, 1919). Scholars realized that color, especially tinting, formed part of the silent film aesthetic. 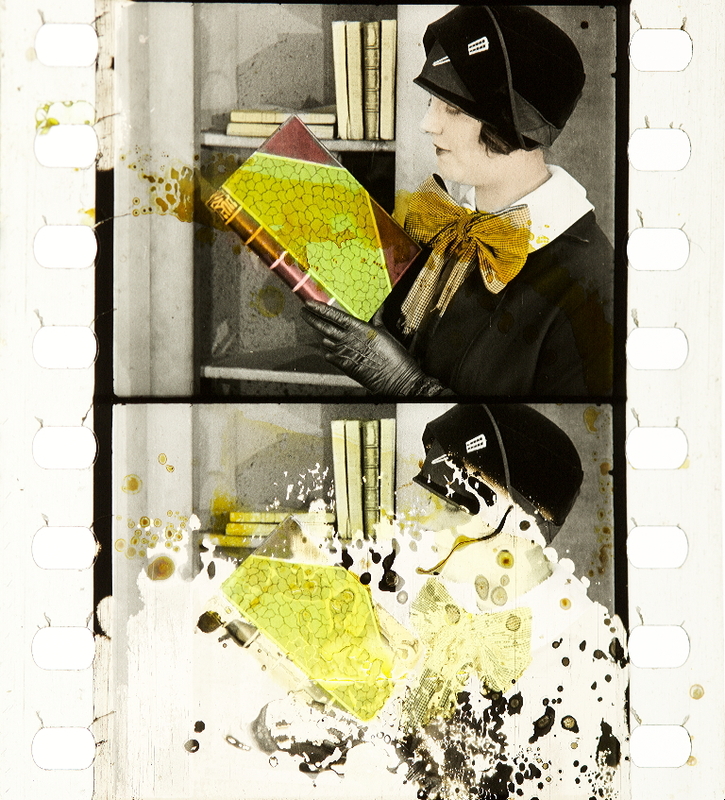 But that color appeared in most silent films was not widely realized until the 1980s, when archivists’ attitudes towards color changed, partly due to more stable color stocks. The decision not to preserve silent films in color came from practical preservation concerns, but it also reflected an attitude towards color that has cultural and aesthetic roots. Tints were considered secondary to the photographic aspects of the film. Color remained a supplement. 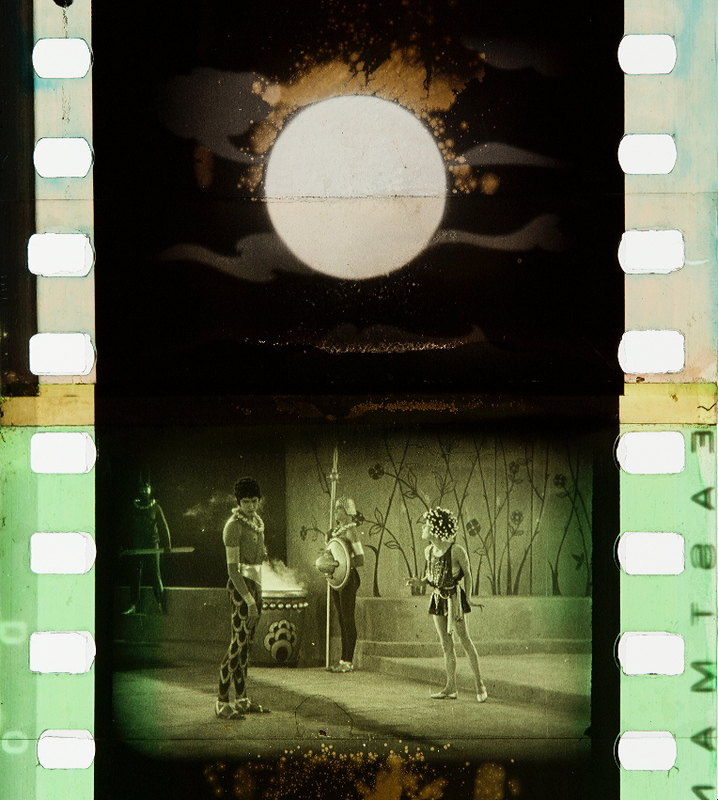 Film scholars often viewed color as an add-on rather than an essential aspect: tints were applied after the production and directors may have had little or nothing to do with the process, instead leaving them in the hands of technicians. Some critics claimed that tinting was vulgar and obscured photographic qualities, a claim sometimes made by critics in the silent era as well. This viewpoint reflects a strain of chromophobia that runs through Western culture, often directed towards popular arts with their loud carnival colors. Philosophers held that color was not a primary, but, according to Descartes, a secondary accidental quality; certain forms of Puritanism claimed color was a sign of vanity and a cause of distraction; while some schools of painting suggested that color offered only a minor aesthetic quality compared to drawing which outlines essential forms (Batchelor 2000). Awareness of color in silent film has come full circle with a new fascination in color processes and the effects (and affects) of color in cinema generally. But problems from the preservation side remain. 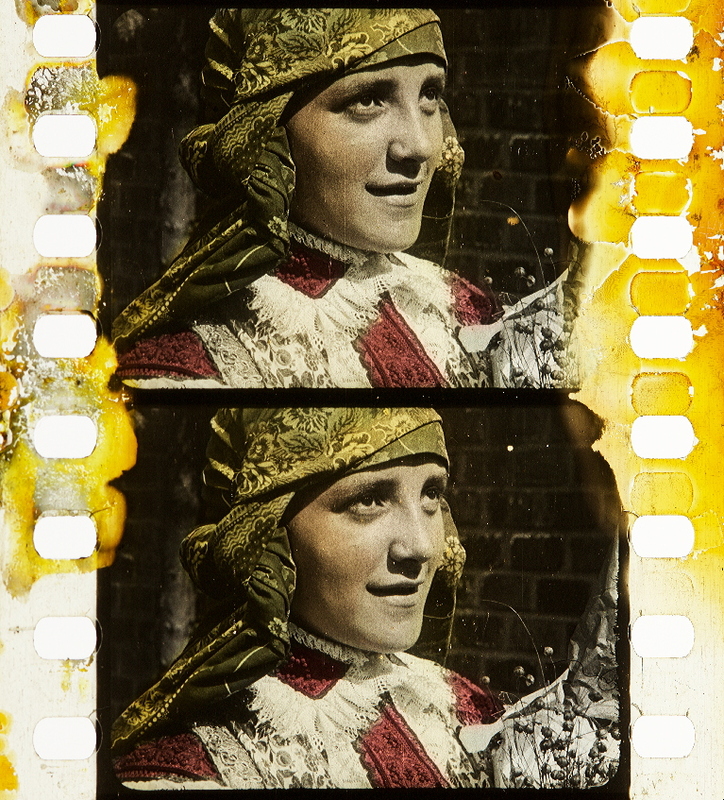 Archivist Giovanna Fossati surveyed color prints made from nitrate originals in the collection of the Nederlands Filmmuseum (Fossati 2009: 83–89). Fossati found colors rarely strictly corresponded. The reasons were multiple. Photographic duplicates from applied color original prints involve a process of translation and unintended transformation. As anyone who has studied photographs of paintings knows, color photography is always selective and particularly responds differently to colors placed in close juxtaposition. But even if the photograph were strictly accurate in the reproduction of the original, neither color system is totally stable. 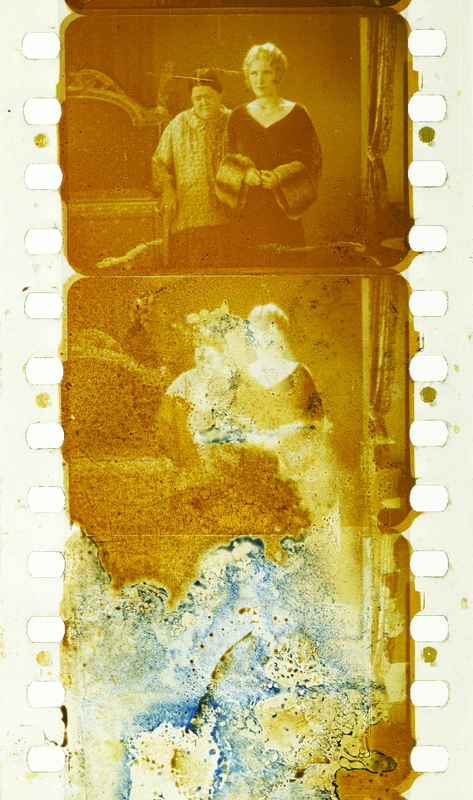 The applied dyes in silent film are always in a process of fading or transforming. Even an accurate photograph will only capture one moment in this process. Color in film remains transitory, subject not only to changes wrought by time, but changes as it migrates through different film stocks and modes of processing. Attempts to preserve colors produced by different processes means those changes can be immense. Video not only offers new tools for the control of color, with its millions of differentiated colors, but also new problems in reproducing them yielding the old joke about the meaning of the initials NTSC – the video standard set in the US by the National Television System Committee – that they actually indicate “never the same color,” still applies (Fossati 2009: 45–49). All of these aspects indicate the headache color presents to archivists and historians of film stylistics. While one inevitably regrets the loss of aspects of an artwork, some archivists have decided to acknowledge and even embrace the inevitable ephemerality of our medium. Paolo Cherchi Usai in his work as archivist, theorist and filmmaker has embraced this inevitable death of cinema and the role historians and filmmakers play in constructing requiems willing to acknowledge the mortality of film works (Cherchi Usai 2001). 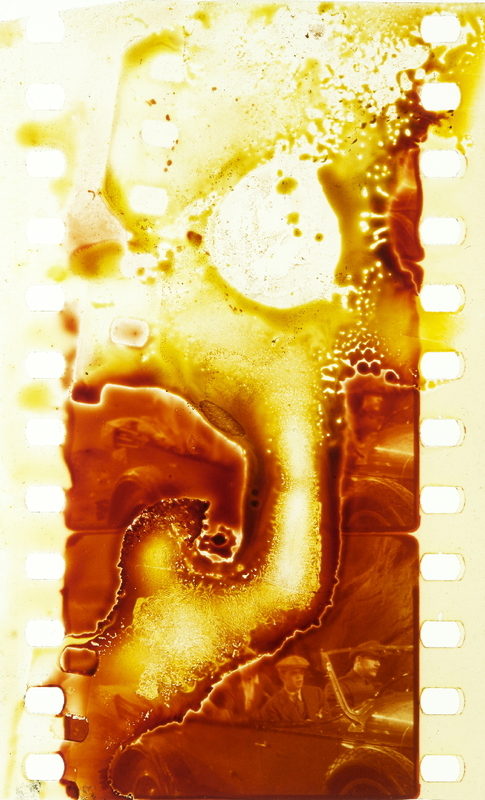 Such filmmakers include Pieter Delpeut in Lyrical Nitrate (1991) or Bill Morrison’s Decasia (2002), and the filmmakers who have used colors obtained by unconventional chemical processes, such as David Gatten in What the Water Said (1998-2007) and Peggy Ahwesh in The Color of Love (1994).1 Color belongs to the material side of film. While it may be stored as digital information, its dynamic unstable chemical nature balances the serendipity of alchemical transformation with the inevitability of decay. This inherently unfixed nature of color combines with its unique perceptual and emotional effects to create a power foreign to either Cartesian certitude or the Platonic ideal eternity. From the perspective of archiving and preservation, film color remains uniquely vulnerable and its relative absence from earlier accounts of silent film history may derive less from suspicion or ideological suppression than from the nature of color itself, elusive and ungraspable, as eager to appear to us as to flee from us. But what I am calling the suppression of color refers also to our incomplete understanding of another aspect of the history of color in silent cinema: less the prevalence of color during most of the silent era, now widely acknowledged, but the near total disappearance of applied color by the 1930s, which has rarely been remarked upon – even though everyone recognises it! The true mystery of color in film may lie in the emergence of black-and-white in the 1930s through the 1950s as the standard of cinema. Because the preservation of applied color in silent prints remains spotty, the nature of this transformation remains unclear. Was it abrupt, and did it basically coincide, as has often been supposed, with the coming of sound or did it occur gradually, as some preliminary evidence seems to indicate, with a reduction in colored prints during the late 1920s? It has often been claimed that the disappearance of tinting had a technological basis since the dyeing process interfered with the soundtrack. While this sounds plausible, given that some early sound films were tinted, it needs to be questioned and subjected to further investigation. Could the addition of a soundtrack offer a different sort of explanation, more aesthetic and stylistic, as synchronized sound and dialogue clashed with, or somehow rendered redundant, the addition of color? For example, it is useful to recall that early talkies often eliminated the continuous musical accompaniment that had defined silent film, or restricted it to opening and closing credits. It is most likely that streamlining the production of projection prints with sound played a major role, since applied color processes added a complicated stage in the preparation of prints. But why did the aesthetic addition of color at this point seem no longer worth the effort? Histories of laboratory and print preparation may well hold the answer to our question, although aesthetic effects must also have been a consideration. Whatever the explanation may be, this literal suppression of color in the 1930s or late 1920s remains a stylistic change that has basically been taken for granted. 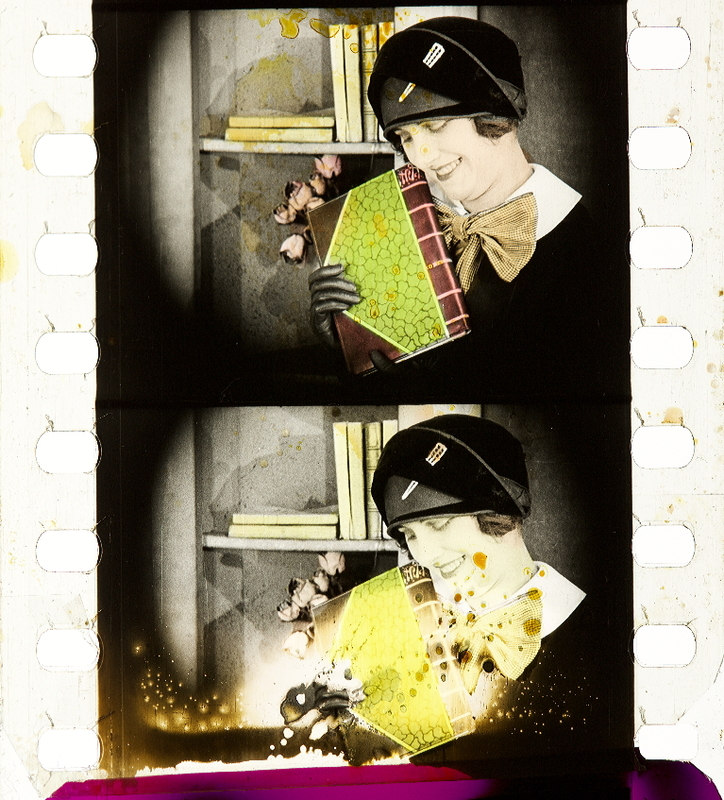 Issues of archival restoration of color also raise stylistic considerations. However, when a modern photographic color print is made of prints originally using these processes, these distinctions tend to blur. The blacks of a tinted print lose their integrity, while the whites in a toned print tend to merge with the dominant color. To address this problem The Royale Cinémathèque of Belgium introduced an alternative called the Desmet process (Fossati 2009: 89–90). Instead of simply photographing the original colored print onto color stock, a black-and-white print is flashed into color in order to preserve the original dark blacks, preserving the original tonal contrast. 1 What the Water Said was a series of films made by David Gatten from 1998 to 2007. 2 Contemporary critics remarked on the lack of tinting in the Expressionist film Von Morgens bis Mitternacht, Karl Heinz Martin’s 1920 adaptation of George Kaiser’s Expressionist play (although the film had admittedly very few screenings). Batchelor, D. (2000) Chromophobia, New York: Reaktion. Cherchi Usai, P. (2001) The Death of Cinema: History, Cultural Memory and the Digital Dark Age, London: British Film Institute.